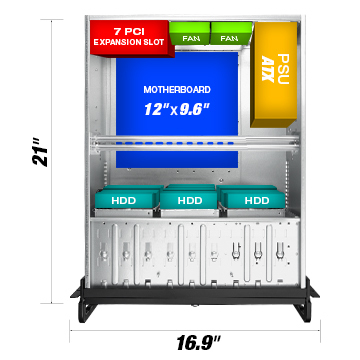 Make use of the available room by installing up to eleven internal 3.5" HDDs, seven expansion slots, one PSU and still have room for up to a CEB (12" x 9.6") motherboard. Includes four cooling fans; two 120mm in the front and two 80mm in the rear to provide excellent cooling for continuous use and optimum airflow. 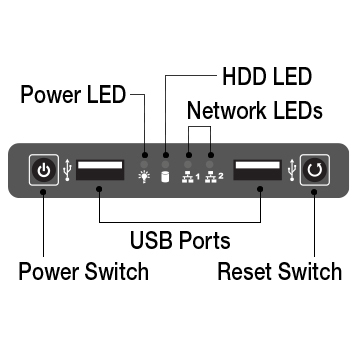 Seamlessly monitor your server with the built-in front panel ports that support various USB devices. Cons: The only thing that isn't great is the internal drive trays and how hard they are to slide into the case. 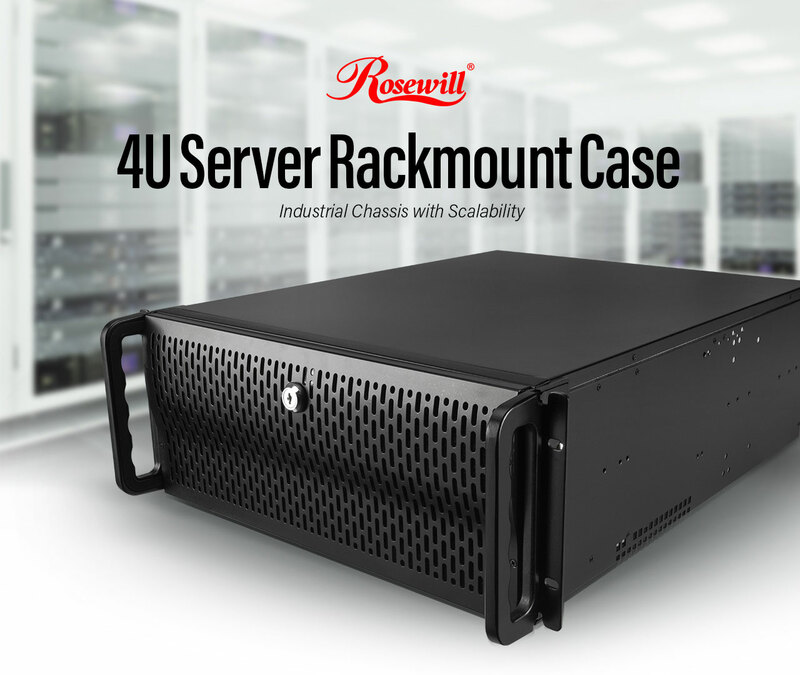 If that was solved it would make the perfect server case. Pros: Easy to work with, decent quality. Cons: The disk trays aren't as nicely done as some competitors. 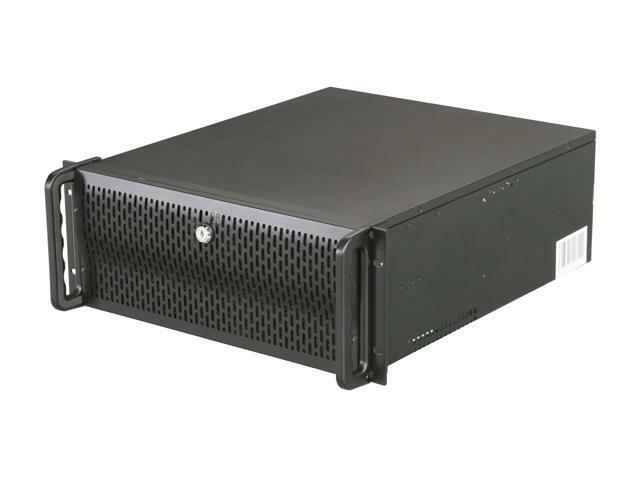 Other Thoughts: I bought this case to convert an older ATX workstation to rack mount form factor and move it to the data center. This case is super easy to work with, much easier than most desktop/tower cases. The fans are not quiet, but who cares if this thing is supposed to live in a rack. The disk trays are not the easiest (and far from hot-swappable) but hey, look at the price. Cons: Would be nice to have USB 3.0 type C + USB 3.0 regular, in addition to USB 2.0 ports. I found the stock drive bays "flimsy" and difficult to work with. Replaced with the Rosewill RSV-SATA-Cage-34 and found HD management a lot simpler. HDD access is only thru the case and the top and bottom ones can be rather tricky to remove/install. For the top one, there is a support bar running the width of the case that interferes with the top drive slot. The bottom slot is better but depends on what in the way at the bottom of the case, like wires or the edge of the motherbd. There is a hot swap version of this case available but I cheaped out and regret it when a drive dies on me.